According to an EDM Mortgage survey in the UK, 51% of millennials would consider taking out a mortgage with a challenger bank. A quarter of the respondents (25%) say they would be “happy” or “very happy” to take out a mortgage online using a robo-advice service or deal with an automated adviser that is based on artificial intelligence. However, more than one in three (36%) say they would not consider using an automated advisor. Good news, folks. We’ve still got our jobs. 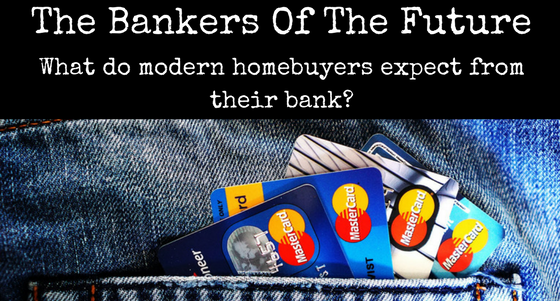 But the message is clear here (and not surprising) — technology is the way of the future in the mortgage industry. The millennial generation is the generation of technology. Virtual tours, fingerprint signatures, online presentations and super fast communication are their daily bread. We — the bankers, lenders, and mortgage loan officers — need to take this to heart. The banking industry as a whole is in the middle of being disrupted by young and fresh startups. They are being called “the bankers of the future”, and they cover everything from using alternative methods for credit approval, to concepts as esoteric as peer-to-peer lending. “None of the new start-ups are consumer banks in the full-service sense of taking deposits. Instead, they are focused on transforming the economics of underwriting and the experience of consumer borrowing — and hope to make more loans available at lower cost for millions of Americans. Wherever we’re standing on the lending spectrum, I think it’s important to start realizing what we’re up against, and how we can enhance our services in order to keep up with the smaller, but challenging companies. Stay tuned for more — I already use a bunch of technology internally, and am in the midst of evaluating a bunch more. I’m looking forward to sharing it with you in future articles.